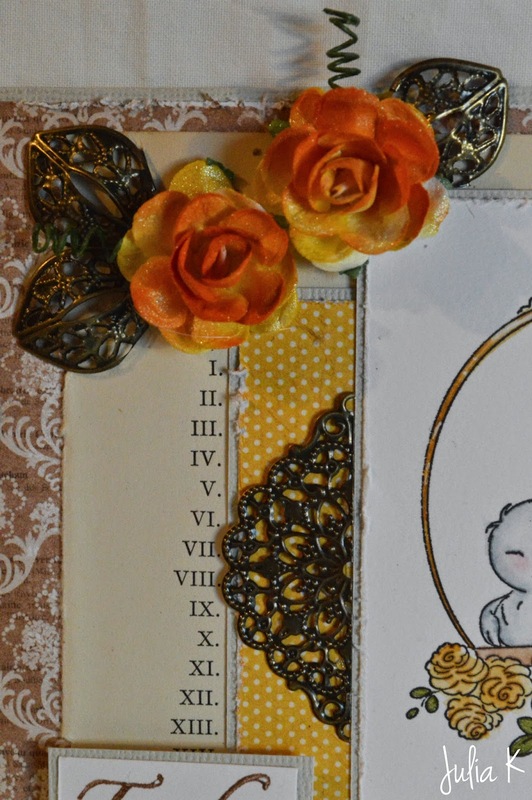 Today´s card and Video is made with my newest paperpas: MME, Lost & Found ROSY 6*6. The papers are so pretty and there are both neutrals and allot of colors. 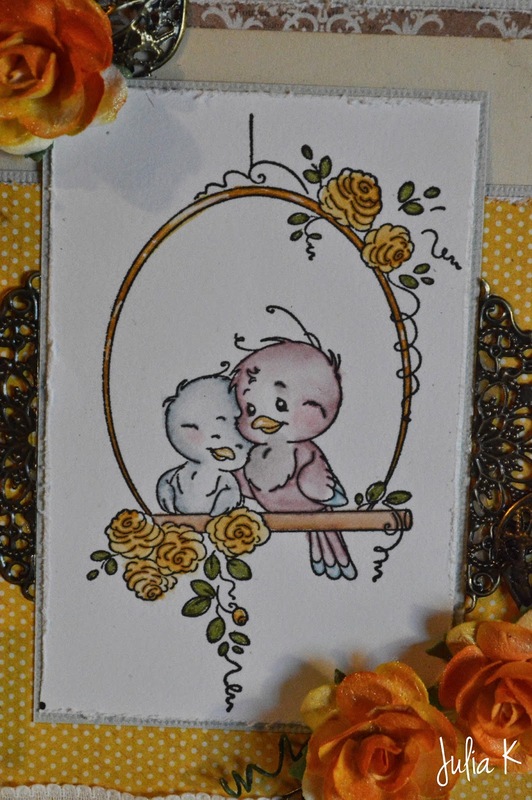 The stamp is from Wee stamps (Bird swing) and is colored with distress markers; "weathered wood" & "Victorian velvet". 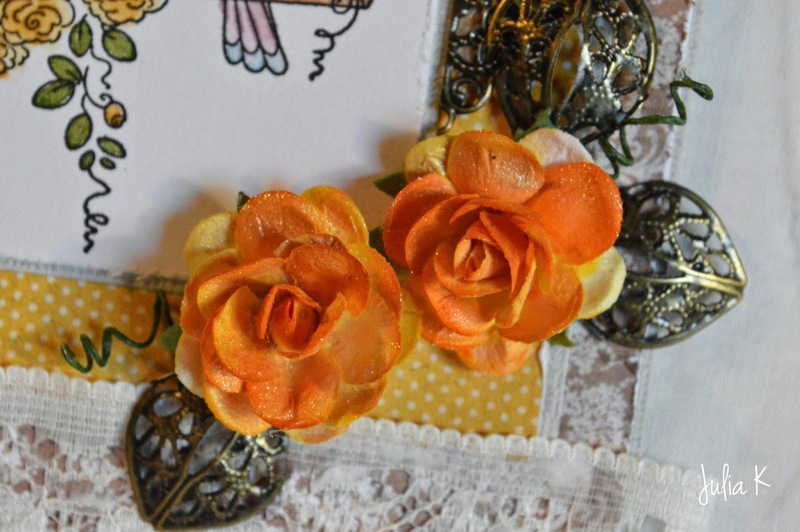 Roses are "spiced marmalade" (ink) and perfect pearl "Kiwi" and the leafs are a cut up metal flower. The oval metal is also cut up and both metal pieces are from Pyhobby. I just love the bookpage that is the index page hens the roman number.